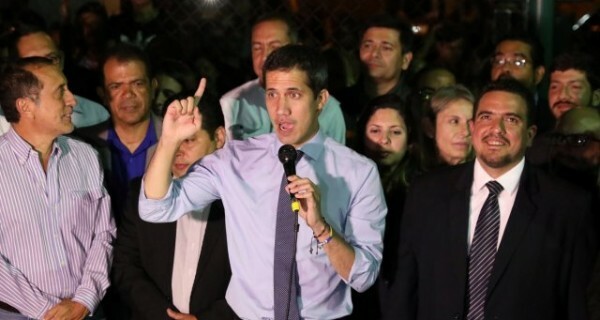 Venezuelan opposition leader Juan Guaido, who many nations have recognized as the country's rightful interim ruler, talks to the media during a news conference in Caracas, Venezuela April 2, 2019. REUTERS/Manaure Quintero NO RESALES. NO ARCHIVES.